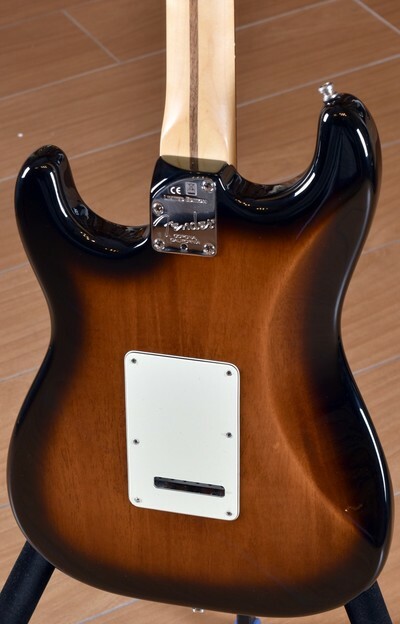 Other Decals, front: Silver embossed "STRATOCASTER"
Neck Plate: Contoured 4-Bolt, "LIMITED EDITION", "Fender, CORONA CALIFORNIA"
and given it a sleek, slimmed-down two-piece mahogany body for a refined and rare look and sound. 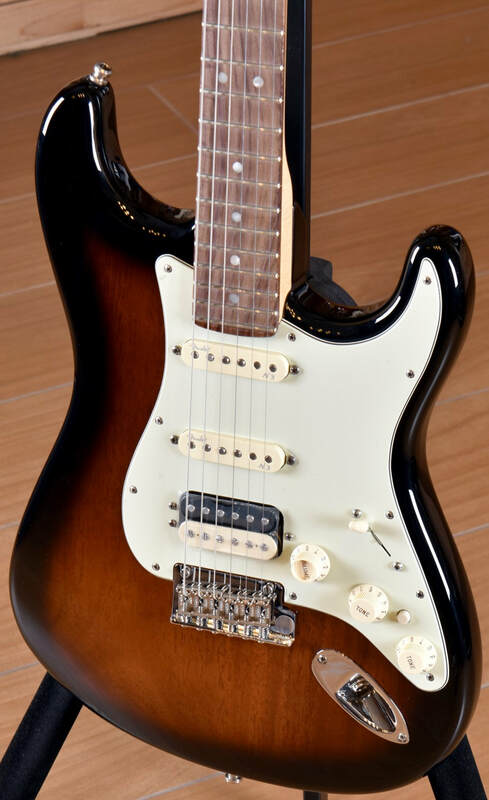 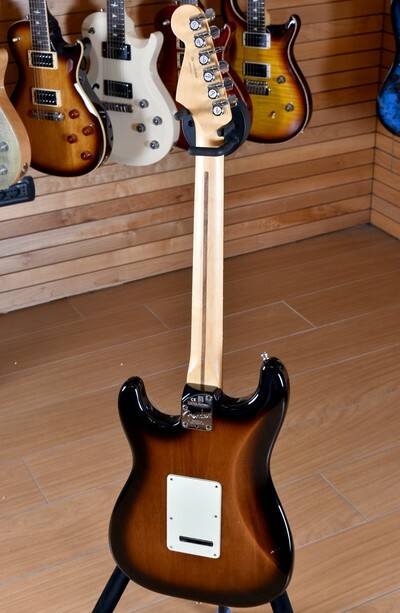 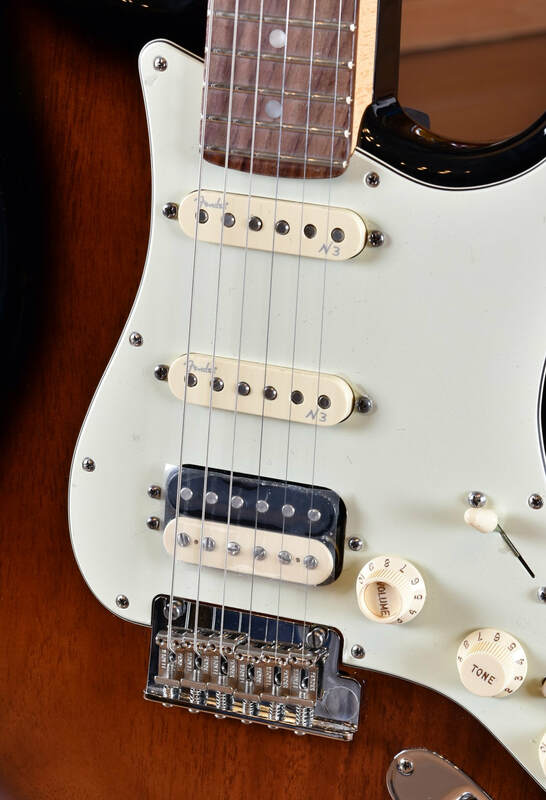 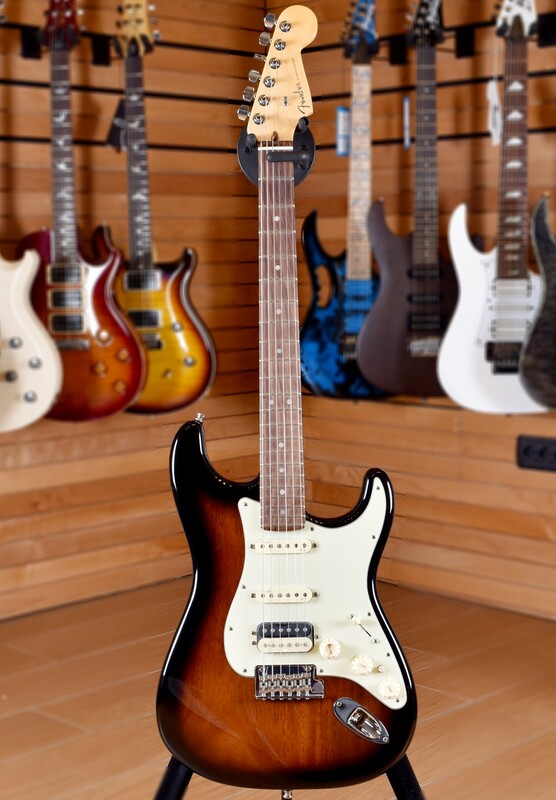 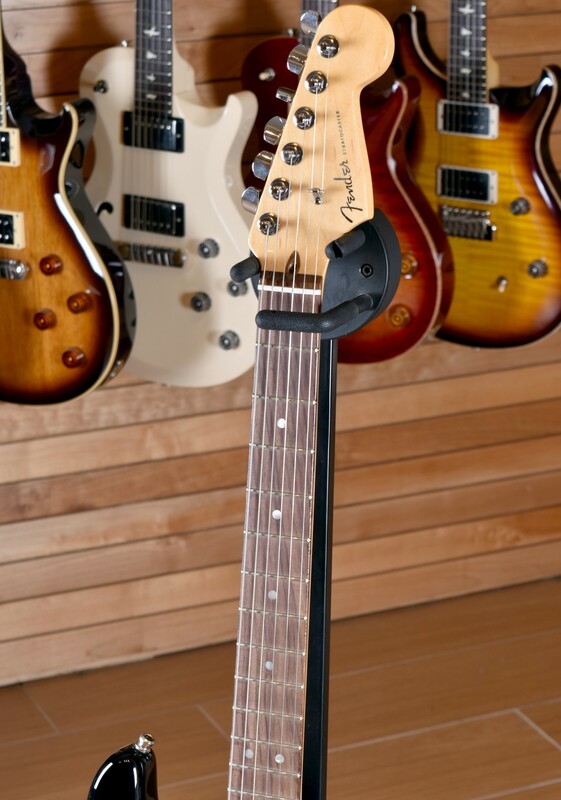 In addition to its distinctive wood construction, the Limited Edition American Deluxe Mahogany Stratocaster HSS features a slightly thinner body, N3 Noiseless single-coil neck and middle pickups, and a powerful Shawbucker humbucking bridge pickup. 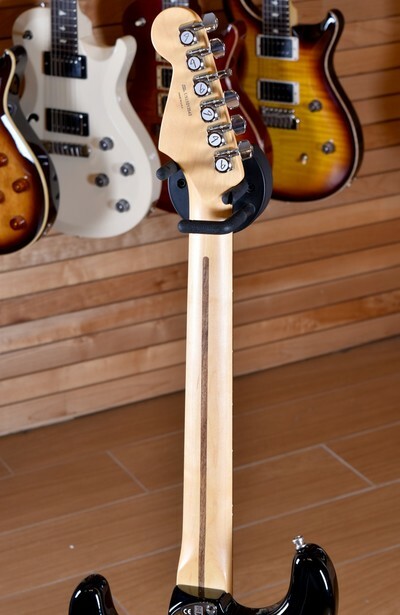 Available in Mahogany Stain.